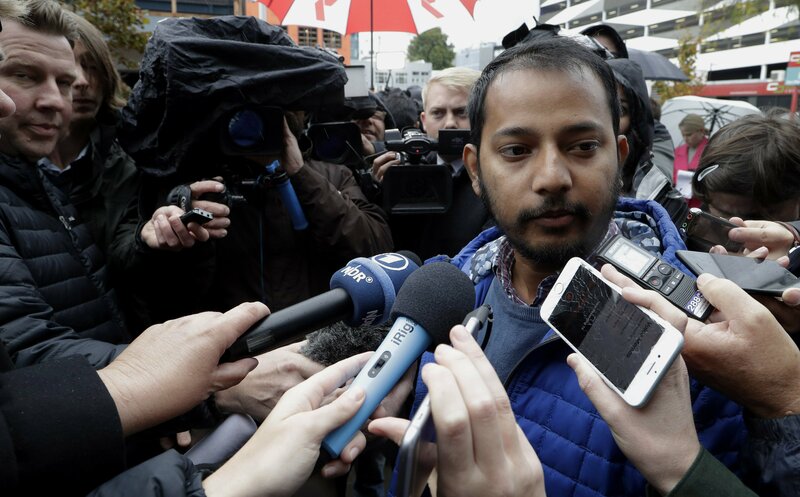 CHRISTCHURCH, New Zealand — A New Zealand judge on Friday ordered that the man accused of killing 50 people at two Christchurch mosques undergo two mental health assessments to determine if he’s fit to stand trial. High Court judge Cameron Mander made the order during a hearing in which 28-year-old Australian Brenton Harrison Tarrant appeared via video link from a small room at the maximum security Paremoremo prison in Auckland. Tarrant was wearing handcuffs and a gray-colored sweater when he appeared on a large screen inside the Christchurch courtroom, which was packed with family members and victims of the shooting, some in wheelchairs and hospital gowns and still recovering from gunshot wounds. Tarrant had stubble and close-cropped hair. He showed no emotion during the hearing. At times he looked around the room or cocked his head, seemingly to better hear what was being said. The judge explained that from his end, Tarrant could see the judge and lawyers but not those in the public gallery. Tarrant spoke only once to confirm to the judge he was seated, although his voice didn’t come through because the sound was muted. It wasn’t immediately clear if his link had been deliberately or inadvertently muted. Mander said nothing should be read into his order for the mental health assessments, as it was a normal step in such a case. Lawyers said it could take two or three months to complete. The courtroom was filled with more than two dozen reporters and about 60 members of the public. A court registrar greeted people in Arabic and English as the hearing got underway. Some of those watching got emotional and wept. The judge said Tarrant was charged with 50 counts of murder and 39 counts of attempted murder. Police initially filed a single, representative murder charge before filing the additional charges this week. In the March 15 attacks, 42 people were killed at the Al Noor mosque, seven were killed at the Linwood mosque and one more person died later. The day after the attacks, Tarrant dismissed an appointed lawyer, saying he wanted to represent himself. But he has now hired two Auckland lawyers to represent him, Shane Tait and Jonathan Hudson. The next court hearing was scheduled for June 14, and the mental health findings would determine whether he is required to enter a plea then. Outside the courtroom, Yama Nabi, whose father died in the attacks, said he felt helpless watching. Tofazzal Alam, 25, said he was worshipping at the Linwood mosque when the gunman attacked. He felt it was important to attend the hearing because so many of his friends were killed. Alam said he felt upset seeing Tarrant.